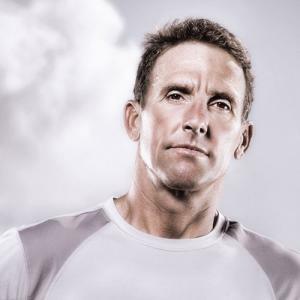 Designed for the INTERMEDIATE level, competitive age group triathlete, this challenging Half Ironman training program by 6x Ironman World Champion Dave Scott draws on his 40+ years of experience as an athlete and coach. This plan starts out with moderate volume and intensity at 10 hours per week and builds to 13 hours per week over the course of the plan prior to tapering to prepare you optimally for race day. The 3 sessions each week per discipline (swim, bike, run) include progressive workloads with unique marker sets, which will determine your optimal race pace. Long Brick workouts are included on the weekends starting at week 7 to enhance your race preparation by allowing you to monitor your nutritional needs. Wednesday is the designated day off. Successfully racing the half Ironman distance requires an element of speed so this plan includes some anaerobic, higher intensity session that you will give you a higher metabolic return than only doing moderate intensities. This program may be set to start or end at any time for a goal race that takes place on a Sunday. If your race is on Saturday, please chose the Saturday version of Dave's plan. This program can be adjusted to fit your shortened training schedule if you miss the first few weeks. If you can complete 70%+ of the workouts, you will see results through race-simulated sets and bricks that replicate the physical and psychological tests of your race. Included: This plan comes with Dave’s comprehensive Triathlon Training Plan Guide explaining Dave’s training methodology and all the workout terminology plus video training tips by Dave covering optimal fueling, proper pacing, mental training tactics, race day strategy and more! Questions? Please visit Dave on the web at davescottinc.com or email: info@davescottinc.com. - Keep low side of goggle under water while breathing. 4 x 2' (A), RI 30" (jog easy to nearest 50' increment if on track). Each 2' distance should be the same. 5 x 4' (A), RI 30"
8x 30" build to very hard, RI 90"
8 x 2' (ODD - LG, EVEN TTG), RI 15"
- 3 x 25 FR count strokes, RI 5"
- 50 FR Overkicking (count strokes on 2nd length, take one less stroke than on 25's), RI 10"
- 2 x 100 FR, RI 10"
- 150 FR, RI 10"
- 50 Kick (alternate BK/Fly, BK/Flutter), RI 20"
- 25 FR, RI 20"
8 x 40" VERY HARD (25" TTG + 15" BG), RI 80"
(A) run. Include short walking efforts if not running up to 70'.